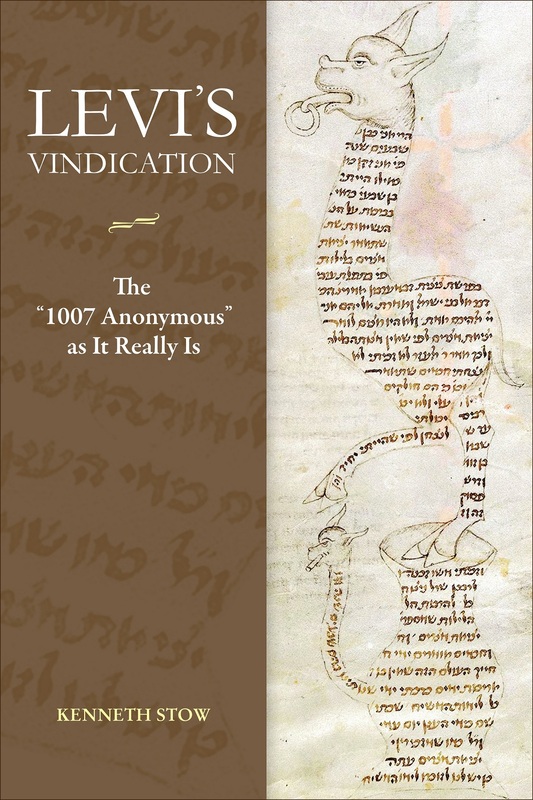 The “1007 Anonymous,” an imaginative, brief text composed in the third or early fourth decade of the thirteenth century, illustrates the proper relations between Jews and their lay rulers and the pope. This message had to be conveyed indirectly, and the “1007’s” vehicle for doing so was a fictional story of murderous attack and forced conversion known as “The Terrible Event of the Year 1007.” Claims to the veracity of the story and the actuality of the supposed massacre are shown to be incorrect, as was demonstrated by the great French scholar Israel Levi at the turn of the twentieth century. No one, however, paid him heed—regrettably, for he was absolutely correct. Appropriately, this book is titled Levi’s Vindication. 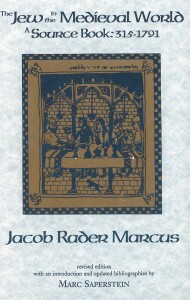 First published in 1938, Jacob Rader Marcus’s The Jews in The Medieval World has remained an indispensable resource for its comprehensive view of Jewish historical experience from late antiquity through the early modern period, viewed through primary source documents in English translation. 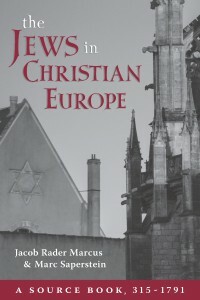 In this new work, Marc Saperstein has recast the volume’s focus, now fully centered on Christian Europe, updated the work’s organizational format, and added seventy-two new annotated sources. In his compelling introduction, Saperstein supplies a modern and thought-provoking discussion of the changing values that influence our understanding of history, analyzing issues surrounding periodization, organization, and inclusion. To gain an accurate view of medieval Judaism, one must look through the eyes of Jews and their contemporaries. First published in 1938, Jacob Rader Marcus’s classic source book on medieval Judaism provides the documents and historical narratives which let the actors and witnesses of events speak for themselves. The 137 sources included in the anthology include historical narratives, codes, legal opinions, martyrologies, memoirs, polemics, epitaphs, advertisements, folk-tales, ethical and pedagogical writings, book prefaces and colophons, commentaries, and communal statutes.